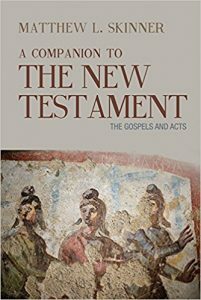 Summary: The Gospel according to Mark depicts Jesus’ arrival, teaching, and actions as an incursion, as God’s effort to enter the world and defeat hostile foes for the sake of inaugurating God’s reign (kingdom). Mark depicts a Jesus who eludes ordinary means of perception; the Messiah defies conventional expectations. Those who preach from Mark do well to imitate the Gospel’s apocalyptic tenor by seeing their task as making visible the inscrutable activity of God. Read the full article, the first of two, at Working Preacher.